Philadelphia, PA, March 21, 2019 – PREIT (NYSE: PEI) announced a series of milestones with scheduled openings at Woodland Mall, further establishing its presence as the premiere retail, dining and entertainment destination in Grand Rapids, the second largest city in Michigan. The project will feature an exclusive line up of high-impact tenants, strengthening this market-dominant asset. As the second largest redevelopment underway in PREIT’s portfolio, Woodland Mall is expected to deliver nearly 20% NOI growth in 2020. In an effort to elevate the dining experience and expand the mall’s trade area, PREIT has executed a lease with The Cheesecake Factory for its second location in Michigan and its only location in over 50 miles. The 8,500 square foot restaurant is expected to open late October 2019. The Cheesecake Factory is known around the globe for its extensive menu, generous portions and legendary desserts. The restaurant features more than 250 menu selections including SkinnyLicious® dishes with 590 calories or less and Saturday and Sunday Brunch – all handmade, in-house with fresh ingredients – and more than 50 signature cheesecakes and desserts. Since opening our first restaurant in Beverly Hills more than 40 years ago, The Cheesecake Factory has become known for creating delicious, memorable experiences for millions of guests around the country, and we’re so pleased to be opening our first restaurant in Grand Rapids. We look forward to opening in Woodland Mall this fall. - David Overton, Founder, Chairman and Chief Executive Office of The Cheesecake Factory Inc. The Cheesecake Factory will join Black Rock Bar & Grill, an award-winning steakhouse and first-to-market experiential dining offering, with an anticipated opening this summer. First-to-portfolio retailer Von Maur, which will occupy 90,000 square feet in the former Sears space, is set to open in the fall. This location will be the high-end department store’s first in the region. Von Maur will be joined by Urban Outfitters and a series of other new-to-portfolio and new-to-market retailers at the mall. REI will open in a 20,000 square-foot outparcel in the second quarter 2019 – bringing the in-demand outdoor clothing, gear and footwear brand to the region. Complementing these high-quality and diverse retailers, this Fall, Woodland Mall will also welcome Tricho Salon, a best in class salon offering a personalized experience with most talented stylist in the region featuring the top hair styles, designs and products as well as makeup and waxing services. An innovator in the salon business since 2003, Tricho Salons boasts 12 locations in the most sought after markets across the U.S. Additionally, PREIT has continued to evolve the retail mix at the mall, having recently delivered new and upgraded store prototypes from key retailers including Altar’d State, Apple and LUSH. These stores will also be joined by newly renovated prototypes from Williams-Sonoma and Bath & Body Works, which will relocate their stores to the newly-created Von Maur wing. These dynamic remerchandising efforts will further differentiate the shopping environment. During the 2018 holiday shopping season, Woodland Mall experienced strong growth in foot traffic, which is expected to be enhanced with these new additions. With the addition of a fashion department store, the region’s only Apple store and The Cheesecake Factory, this property will take its place as a trophy mall and a top-performer in our portfolio. The high-impact redevelopment of Woodland Mall is delivering a diverse and robust tenant mix that aligns with our portfolio quality improvement efforts. 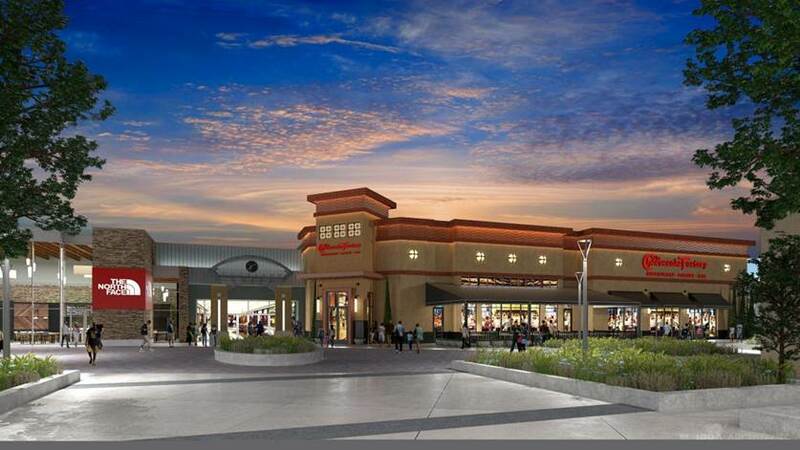 Woodland Mall features an exclusive line-up of dynamic tenants, including Apple, Pottery Barn, The North Face, Williams-Sonoma, Dry Goods, H&M and Altar’d State along with several dining establishments, a movie theater and game-changing tenants soon-to-open. Additional factors that might cause future events, achievements or results to differ materially from those expressed or implied by our forward-looking statements include those discussed herein and in our Annual Report on Form 10-K for the year ended December 31, 2018 in the section entitled “Item 1A. Risk Factors.” We do not intend to update or revise any forward-looking statements to reflect new information, future events or otherwise.